*Safe High-Quality Material- This Mist Humidifier is made from ultra-high grade, safe, and eco-friendly PP materials which offer stable and long lasting use experience. *Easy operation & Users Friendly - Smart one buttton design enables users to control this product by one button. 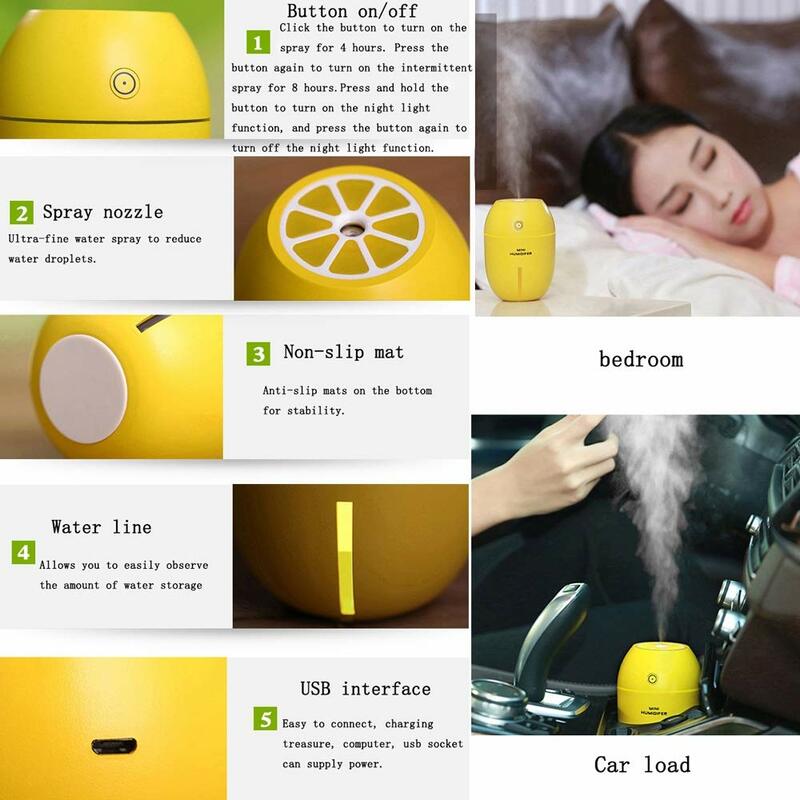 Short press to start the mist emitting and long press to turn on the mood light, easy to control as you wish. *Compact & Ultra-silence - Mini size and portable design, easy to carry around. Perfect for vehicle-mounted and all living spaces to humidify air anywhere. 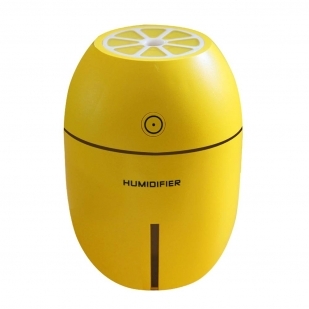 This Humidifier keeps silent during the whole working process, providing a quiet environment when you are working, studying or sleeping. 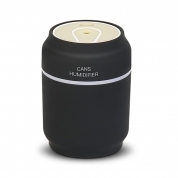 *Improve Air Quality - Diffusers spread the benefits of aromatherapy oils to fight stubborn bacteria and fungus, improving air quality while humidifying dry air, which improves your sleep patterns and skin health effectively! 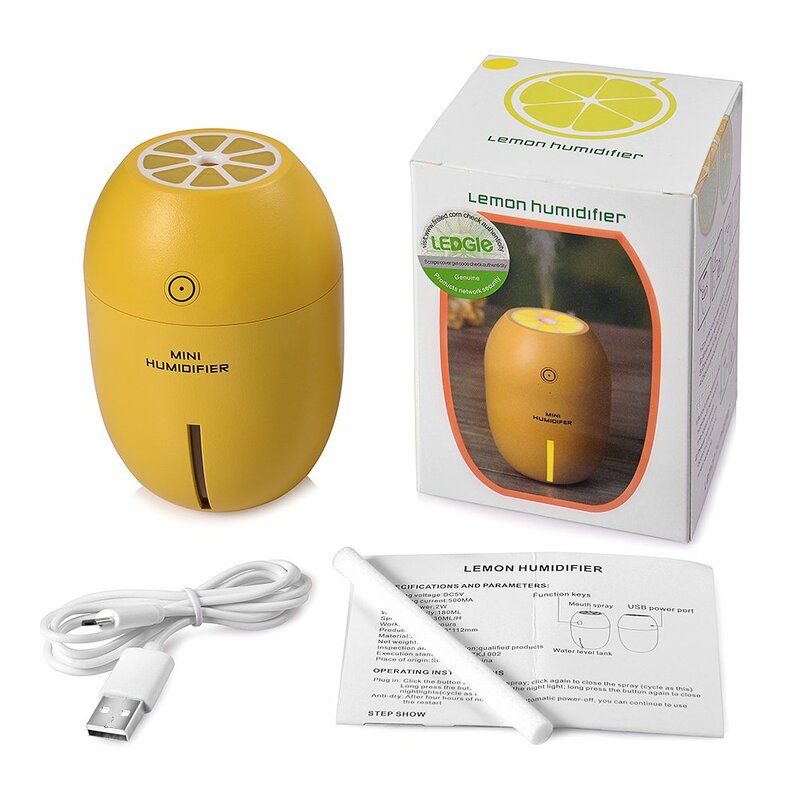 *Auto Shut-off Function- The product will shut off automatically after 4 hours uninterrupted working, which prevents the diffuser from burning out. 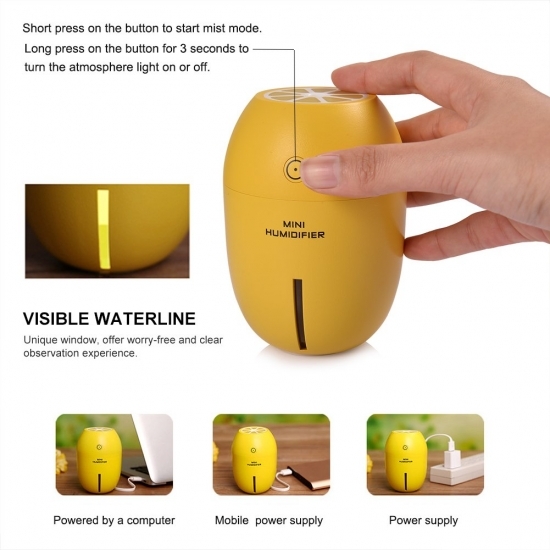 * Please read the operation and precautions in the User Manual carefully before using this Mini Air Humidifier. * Please do not add essential oil into the water, because giant molecules may block the mist hole. * Please do not throw cotton away because it is reusable. 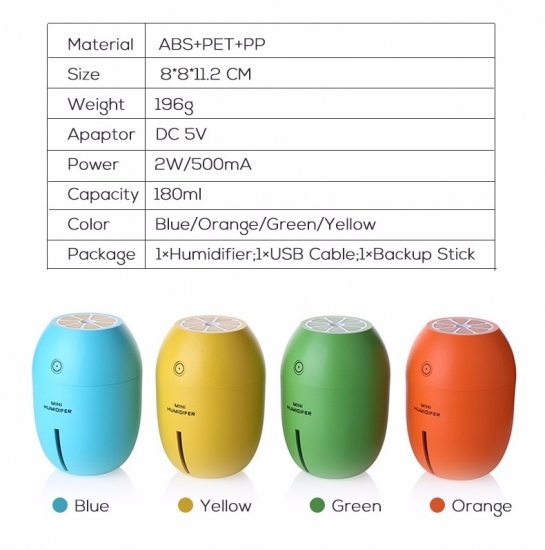 Clean it with pure water instead of change it directly. 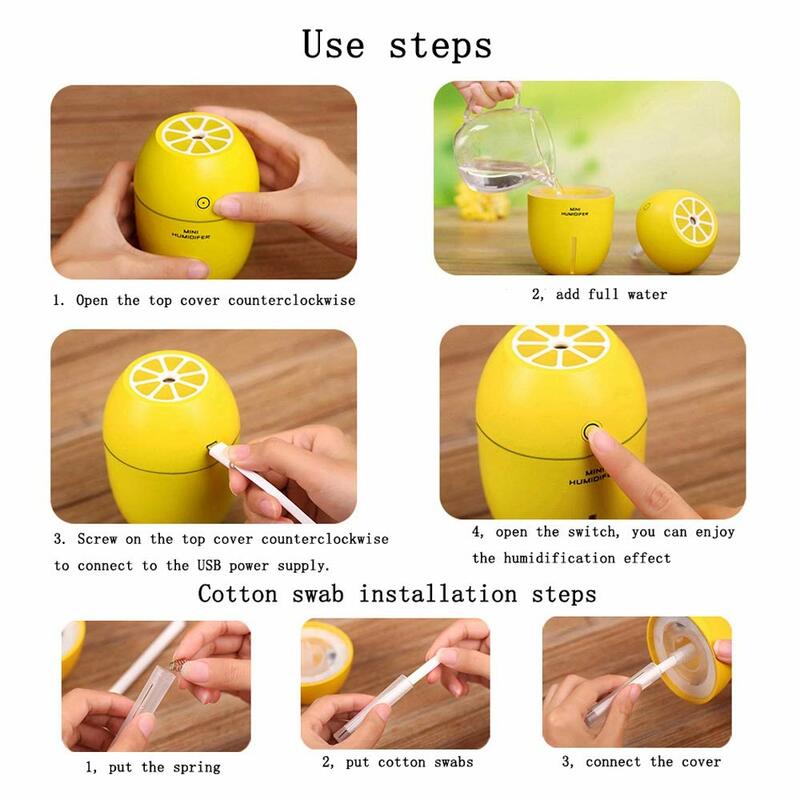 * Please wait for 20 minutes after filling the water tank to make the new cotton swab absorb water completely.